The 4-Goal Game forces players to quickly develop attack and defense awareness by limiting the playing area. Developing each player's vision is at the heart of this drill. Some of the core fundamental skills that are challenged and developed in this small-game drill include passing accuracy, being able to see your target early, seeing lanes, scanning and pre-scanning for passes. The 3v3 diagonal small-game drills are effective at creating game-speed transition tempo. Working from a 3v3 format, each team attacks a goal in front of them as well as a goal to their right. This makes each team responsible for protecting a diagonal space and attacking a diagonal space. Since the space is limited, players learn to develop the ability to quickly scan and pre-scan so that their first touch is on target. This drill improves game performance in many key areas including tracking, long hit, side-in possession, the ability to move the ball, and keeping possession and break out against a higher number of defenders. The 3v3 half court-to-goal drill uses the goalie as well as three attack players and three defenders. One of the strengths of this drill is that it facilitates communication between the defenders and their goalie. Possession alternates between each team ensuring that the goalie communicates with each group of players, as determined by possession. Transition, tipping, goalie communication and shooting on goal are some of the key development features of this drill. Coach Bustin's presentation concludes with a 6v4 continuous game. Using only half of the field, this drill encourages offensive possession and strategies that will help attackers see where and how be in position to tip or get the ball off the defender. The offense can keep the ball speed up in order to shift the defense and create opportunities. 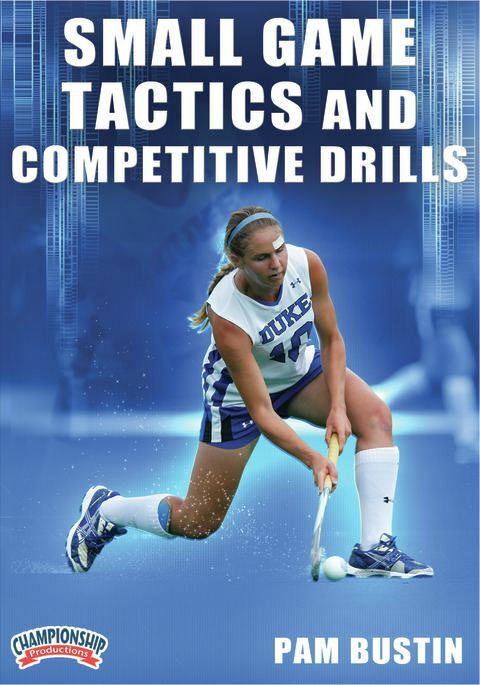 Coach Bustin has done an outstanding job creating exercises that will challenge and build players skills at any level of field hockey.